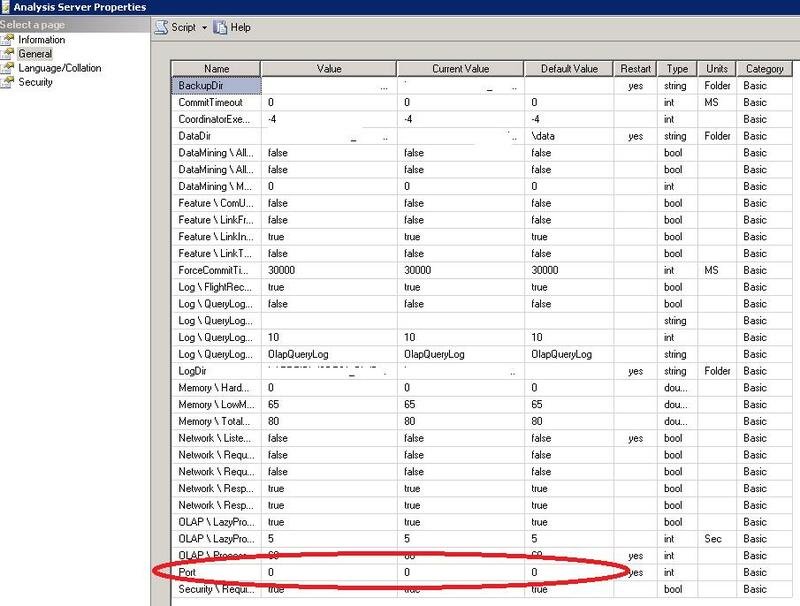 Recently I was asked to configure Database Mail on all SQL Servers in one of my client environment, Instead of using SSMS or TSQL I tried to use PowerShell with SMO objects to accomplish the task faster, Find the script below I created for the same, I took reference from http://www.sqlservercentral.com/articles/Database+Mail/74429/ and created my version of script, The Script can be run for one server or set of SQL Servers listed in a file. By default the Account and Profile name will be ServerName or SQLName_InstanceName in case of named instance which you can change by just assigning right value to the variables in the bleow script. Analysis Services Processing Task: A connection cannot be made to redirector. Ensure that 'SQL Browser' service is running. The Port configuration ‘0’ means the connection should go through the default port 2383; next thing I did was to find out if the TCP port 2383 was blocked under any firewall but it wasn’t. Then I tried to connect to the SSASthrough management studio without forcing the port number it error out again with a similar error but what was interesting was it said the SSMS was trying to connect to <SERVERIP>:2382 and this port 2382 was refusing connection. 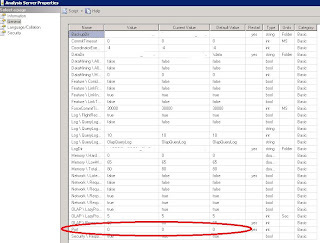 On analysis from MSDN TechNet’s I found 2382 was the port ID to which client connect to browser service to resolve SSAS ports similar to UDP port 1434 in database services. But still why are we not able to connect to this port? My last option was to try connecting using explicit port number in SSMS like <Servername>:2383 instead of instance name and I was able to connect successfully. Now it eventually came down to the browser service connectivity issue, after several trial and error and reading many articles; it all pointed to the service account of the browser service, The Browser Service in my system was configured under local service, I changed it to a domain account with Admin access in the system and again it was erroring out with the same error. As a last try I changed the service account of Browser Service to “Local System“ VOILA!!!!! Connectivity was fine now and all my packages were running fine. I am not sure why this happens but thought it be of help to write it down for others having similar issue or someone to shed me some light on why this happens. After this error, I ended up changing the service account of Browser service on all my servers to Local System!!! !